Hello and welcome to the 175th Devtracker Weekly Round Up! Another week without much to really talk about, but at least there is something this time. Hardly news, but still something. Dev Posts Because yes, what they are about is arguably not as important as the part that there actually were some. Pez earlier this weak made a trio of posts in one thread where people were discusing the AIs server seemingly being dead. The first post was that they were looking into it. The second says they were fixing it. And the third replied to a comment on his activity of late. Apparently he has been still reading the forums daily and all, however hasn't had anything new to post. While yay for still being around, not having anything new to report after a month... it's not exactly saying everything is "fine" either. On the upside (sorta) it looks like the constant drop in players might be starting to bottom out, with a loss this past month of only around 1% of the player base according to Steam charts. So ya, not really any more proper news in this weeks article than we've had in the previous ones but there was something to idly talk about at least. 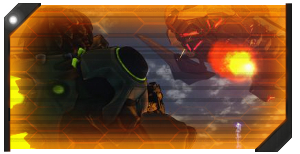 Till next week everyone, this is your first and last stop for semi news related ramblings in relation to Firefall. Have a good one and here's to hoping you find some money on the ground or something... idk, I'm running out of endings for these. Hello and welcome to the 174th of the increasingly inaccurately named Devtracker Weekly Round Ups! Everyone who got that reference thumbs up. We are approaching 25 days without any official announcements or posts now. Suffice to say this means once again the devtracker weekly round up has no devposts to recap, making this months articles all pretty much just me talking to myself rather than actually reporting on news. I'm really not sure what to say this week, probably a good time to jump in game and take some ultra high resolution screen shots for wallpapers or whatever you might want to remember the game by in the future because there's really no knowing what's going to happen at this point. Like some have said they may just keep the servers up till the end of the year for contractual purposes for the wanted Playstation port, or to keep the IP alive (in name only really) while they look for something to do with it. On the other hand it might just be considered a write off and unnecessary expenditure at this point (servers for an MMOFPS aren't cheap) and shelved. That's it for my newsless rants this week, till next time everyone, have a comic from the good old days. Hello and welcome to the 173rd Devtracker Weekly Round Up! So, getting up to about 18 days now without a single dev post, nothing on blogs, twitter, or facebook, and no abundance of holidays or anything to explain inactivity. Suffice to say in the past one hundred and seventy two weeks, this is a first for not having any news for such period of time. The game is still up and servers are running, though the population in game is still rather low, so at least the game is still running but all I can really say is this doesn't seem good. If you got your tinfoil hats and "the end is nigh!" signs now's as good a time as any to dust them off. Till next week, try watching cute videos of fluffy animals or something. Hello and welcome to the 172nd Devtracker Weekly Round Up! Unfortunately do to a complete lack of anything showing up on the Devtracker or other normal sources (and I mean anything) this is another no go week. We've had slow ones for long periods before, but this honestly isn't looking good. I have a habit of missing when holidays or stuff happen, but I don't think that's the cause this time around. 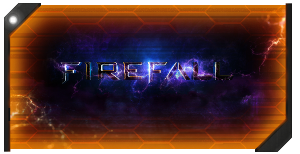 With the lack of real future announcements or news over the past several weeks for Firefall itself, it's looking like the current version of Firefall is what we'll be playing for awhile to come. Hoping I have something to report on next week, I'll be seeing you. Till next time everyone, look both ways before crossing the street and stuff! There have been two dev posts this week as far as I can tell. Neither really relates to Firefall much as they're more personal comments on stuff. There are no new blogs for this week, and the events page is still showing the month of April so nothing to see there. 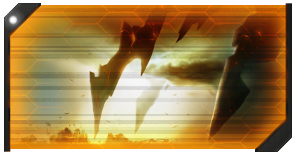 All in all this means there really isn't anything to report on the dev side of Firefall, as for Firefall itself, nothing too notable. For possibly the first week in awhile we don't seem to have had any login issues crop up... though I can't say for sure. And sadly that's it for this weeks article, providing you all the news on the lack of news that there is to cover in this weeks news. Till next time, have a good week. Hello and welcome to the 170th Devtracker Weekly Round Up! Another slow week as far as news goes, but with less controversial spice this time around. Servers are more or less working, but many parts of the game still aren't just like before this situation, and there was even another login problem during the week but it didn't last too long. Still, ends better this week than it did last week. 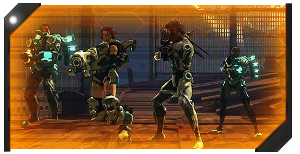 There was a blog post this week talking about Firefall and it's future. At least that's what it says it's talking about. They make mention about still planning to bring Firefall to the PS4 and to look into mobile game version of the IP, but they don't really offer any details and given the condition of the studio at the moment it seems a bit unlikely to expect good ports and such to actually come out with things as they are. Still, who knows how thing will end up going, I honestly don't at this point. 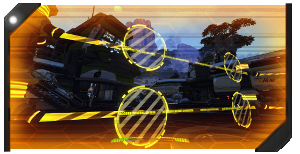 A fix (or series of them) were deployed to the Firefall servers to deal with the rubber banding and stability. And this time around it seems to have worked for the most part. So while the servers are all now located in California, giving some people like those in Europe some trouble, they are at least working again. And that's it for this article, hope you found it useful. Till next time everyone, here's to hoping you have a generally positive week with mostly posotive experiences. Hello and welcome to the 169th Devtracker Weekly Round Up! There was roughly a day and a half of downtime this week where they moved their servers over to the west coast where the PTS servers were managed. This probably lowers costs, but also changes ping times for some people. If you are in Europe, sorry about that, if you are in California or Australia then count yourself lucky. After the downtime was finished it was also found that there are some issues with rubber banding on the servers, so yes even me with my now 30ms ping still gets it and it's not just you and your possibly higher ping causing it. No idea when it will be fixed, given that it's still going on and it's been a few days now. While not really related to Red 5 Studios or Firefall as it goes right now it's another slow news week so I figured I'd toss this in here. A previous CEO (Mark Kern) made a post about [his original vision for Firefall] a current project he's working on, and made some comments about Firefall as well. While most of it pertains to the past and is not longer relevant to the game at this point you can read some of his thoughts on things, and on the game and the company. Of course this got picked up on the Firefall Reddit and turned into the usual bloodbath whenever his name gets mentioned. So, for some of you it'll be interesting to look through since he makes several responses, but for others who don't care about the past it may be better to just skip and avoid all the questionable language and comments that one can find in there as for many it wont be the best mood booster it you catch my drift. And that's it, slow news week is slow. Till next time everyone, I'm not going to say something like "lets hope for a week without login concerns" because after the last three I seem to be jinxing it, so I'll just say have a happy week and don't forget to breathe. Seriously, that's important. Update 3: From my checking everything seems to resolve again. If you still have problems, I suggest temporarily switching to Google DNS. For the crazy people, I've added a (nearly) complete list below. Update 2: The problem seems to (mostly) be resolved! Make sure to remove or comment out the entries in your hosts file to prevent possible issues. Update: Someone from Red 5 Studios just confirmed that they are aware of the problem. Can only be a matter of time now. It looks like Firefall is currently experiencing some DNS issues. 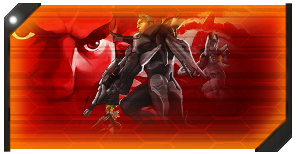 Their domains such as firefall.com can't be resolved to the required IPs. So far we have not heard from anyone inside Red 5 Studios whether they are working on a fix or not. In the meantime you can apply the follow fix to at least get into the game. There are no guarantees that everything works or that things will keep working. It's a temporary fix! Press the Windows key, then type in notepad and press Ctrl + Shift + Enter. This will launch the Notepad with elevated privileges. If UAC is active, you'll need to agree to the popup. Now add the following lines to the end of the file, then save and start playing. Make sure you didn't save the hosts file as hosts.txt! 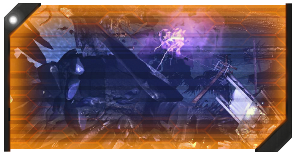 Last week we got the announcement that Firefall Update 1.7 is coming this week and today we've been patched and the servers are up and running! Given the last major disaster on the patching for update 1.6, it has so far been awesome. Sure some missions are not working properly and there certainly are some yet to uncover bugs, but in general, good job Red 5 Studios! PvP Team Deathmatch is back! Finally! 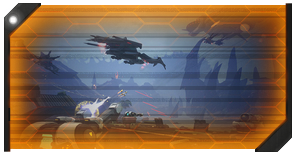 It has been 9 months since the last Firefall patch on the live servers, but it has finally arrived! With it we're going once more into a slightly new direction, hopefully for the last time. 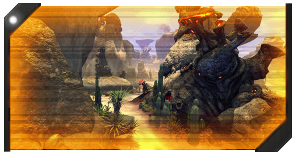 The Firefall content has now been refactored into a more story-driven way. The battleframe progression has been adjusted and our equipment got quite an overhaul. Oh, did we mention Jetball is back?! Before linking to various source for more information, it should be said that there are currently still quite a few migration issues going on, so let us all have patience and wait for the next hotfix to patch things up again. Check out the Migration Guide if you're unsure whether you've received everything correctly. As always with big changes there's quite some controversial discussions going on. It's healthy to discuss issues and okay to state your opinion and feels, but what really matters is to stay somewhat objective and under no circumstances turn toxic. Also keep in mind, during these 9 months Red 5 Studios hasn't just been enjoying life, but they have been working every day on this content, so cut them some slack for that as well. As for RAWR, with the new site up and running, we'll be looking forward to creating new guides and other interesting goodies. 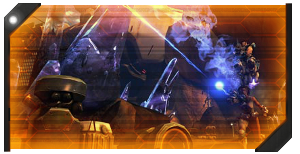 If you're interested in helping the Firefall community and want to write content here, don't hesitate to contact our Commander DarkCisum in-game, on the forum or via email.